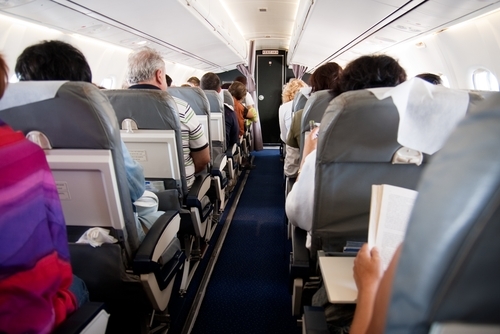 Consumers just received clearance to use their mobile gadgets on most of their flights. According to NBC News, the Federal Aviation Administration recently relaxed its standards and will now allow airline passengers to use their tablets, handheld video game consoles, e-readers and DVD players during the entire time they’re on planes. Phone calls and text messages are still prohibited though customers can go online after reaching 10,000 feet. For many air travelers, this announcement has been a long time coming. For instance, Brian Waterson, a business consultant, prefers to use his iPad for reading because it’s convenient to carry, USA Today reports. “This was very exciting news from the FAA, and I am looking forward to hearing more from the airlines on how this will be rolled out,” Waterson said. Companies can help their employees capitalize on the new regulations by distributing special business gifts. The Camara “A” Case- Small Computer/Tablet Bag is perfect for carrying tablets and ensuring that they won’t be damaged while in transit. Additionally, the Glide Touchscreen Stylus is the ideal tool to ensure that workers can easily control their touchscreen gadgets during their flights.